That's a catchy name right! I did not know what to expect when I first heard of the "Aai Chya Gavat" cafe. 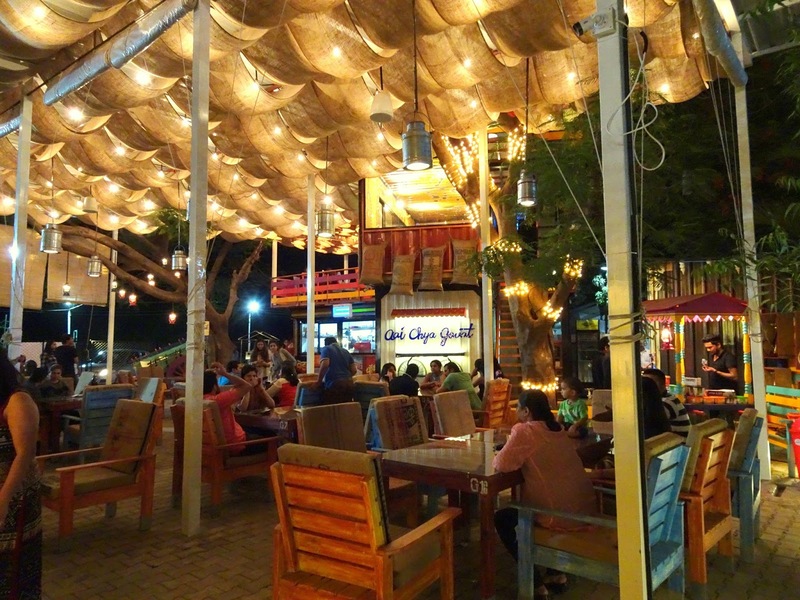 Located at Gupta lawns, Gangapur road, it's a cafe you won't miss spotting especially cause of the lovely lit up trees. This two-storeyed cafe has creatively designed interiors. Salonee and Anshu, two fab artists from MH15 have done a great job at it. I was amazed at the attention to detail that went into every little thing around. The vibe of the place is very chill and laid back. Great option to hang out after work or to catch up with friends. The ground floor has a cozy seating arrangement, perfect for families, kids, and groups. Sheesha is served on the first and second floor. The menu is well curated with dishes which will appeal to every age group. The food experience was impressive because of delicious preparations, interesting plating, and efficient service. Other things I loved are an open, transparent kitchen, ample parking space and the way the cafe has been structured around the trees. The branches hold lanterns and add to the charm. Also, this cafe is open until 1am! 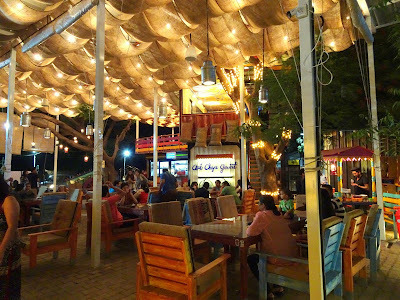 Nashik indeed needed an after-hours cool place to hang out. Great work Shahrukh Patel and team! We'll be hanging out around at ACH often. Cheers! We spent a lovely evening at ACH recently. Here's a short video. Enjoy watching!